I find it important to share my experiences with others especially when it pertains to topics that are taboo. 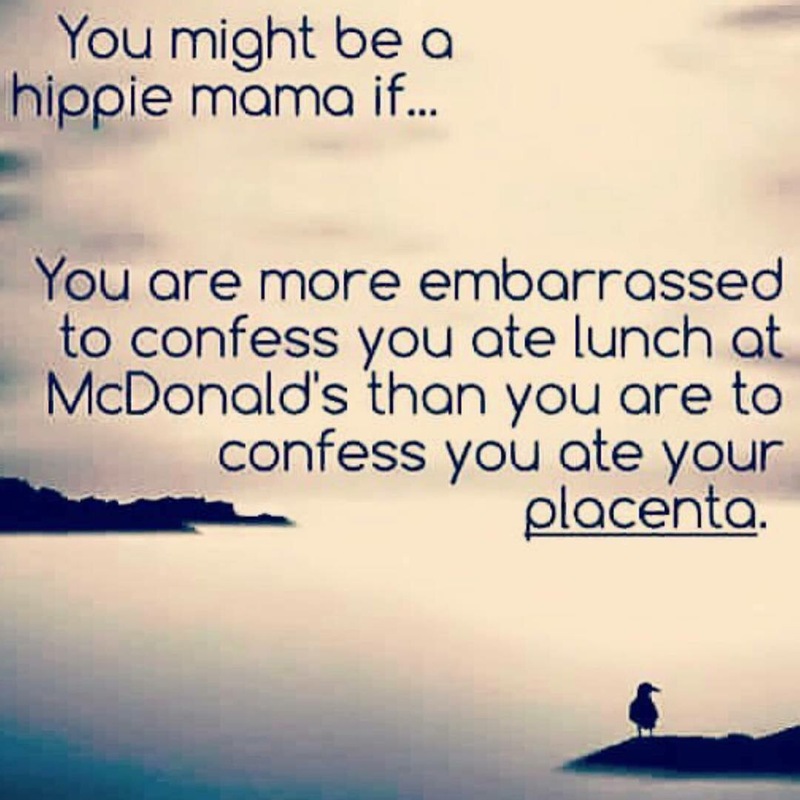 I remember a peer posting to Facebook about an actress who had publicly announced that she had eaten her placenta in a smoothie after the birth of her baby. Since as a culture we do not practice or hear about these practices enough, when they’re brought up they can be alarming. But the more we hear about things the more familiar they become to us and that’s when things start to change. I hope to help bring about positive changes for mothers and babies. That’s one of the reasons why I am studying homeopathy. I hope to share the knowledge and benefits I have gained with other mothers and children as soon as I’m done with my courses. And I hope that more mothers are able to receive the benefits of the wonderful birth practices that my baby and I did. When my daughter was born, we waited until all the blood had drained from the cord into her body giving her as much nourishment and fresh blood from the placenta as possible. This is called delayed cord clamping. After the placenta was birthed it was kept in a metal bowl and put on ice in a cooler where it was transported to the home of my student midwife. She prepared my placenta using an ancient Chinese recipe of healing herbs meant precisely for this purpose. I received immense emotional, spiritual and physical support through the resulting capsules. This is because after the baby and placenta are born the mother’s body undergoes a tremendous fluctuation in hormones. Women go through hormonal fluctuations regularly throughout their lives through menstruation, pregnancy and menopause and once the pregnancy cycle has completed there is a drastic drop in hormones that can lead to all sorts of side effects, most notable and least talked about: post-partum depression. As a person who has felt the pangs of depression before I was more than willing to try an ancient practice that could help me avoid these feelings after my baby was born. Even if my friends or family might think it was weird. That’s been one of the best parts about becoming a mother: I’ve learned to put myself and my baby’s needs first without second thought. In those first few days after the birth, when I felt the most serious dip in hormones, I took three capsules a day with meals. It was such a big transition and I was able to enjoy every sweet, lovely and peaceful moment as our new family rejoiced together. I felt so at ease. In the weeks that followed I decreased my intake to one capsule per day and kept the remaining precious capsules for a “rainy day.” I’ve taken them from time to time when I’ve felt low or depleted or like I’ve just needed a boost. I wish I had one to take every single day. They’re truly that amazing! The wonderful woman who made these capsules for me was also trained in making tinctures so she made me two bottles of an alcohol-based tincture where my placenta had been kept in the alcohol for thirty days. I can keep these for as long as possible–hopefully into my menopausal years when they will help to regulate my hormones, even then! The tincture will also be able to offer hormonal support to my daughter when she begins menstruation, if she so chooses when the time comes. To me it is like liquid gold. It’s the preservation of the miracle that sustained and grew my daughter inside me. It’s all the good things that go into the miracle of life. It is the essence of creation in a capsule and in a bottle.